The Toyota Corolla is one of the most reliable cars in the world. Yet, it needs regular maintenance like any other vehicle. 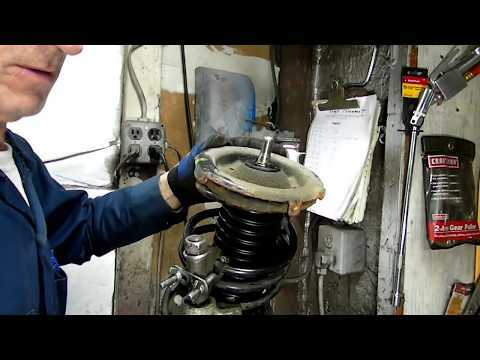 Here is guide on how to replace the shock and struts on it. Need new struts on your Toyota Corolla? Here’s how. Before starting this project, it is important to find an appropriate area to do the work. Ideally, this will be in a garage with protection from weather and with ample lighting. Also, make sure you have a collection of automotive tools and the knowledge on the proper way to use them. Lastly, make sure you buy the right part for the job. Check out our assortment of Toyota manufactured replacement parts by clicking here. First, park the Corolla on level ground and engage the parking brake. Then, jack the front end into the air and support it with jack stands. Loosen and remove all front wheels. The front assemblies are under the front of the car, locate them by looking or springs with hardware that runs through them and connects to the end of the suspension and frame. Now onto re-installing it. You will start by replacing the dustcover and attaching the upper bolts on the strut to the body. These bolts should be torqued to 29 foot lb. Next, do the same with the lower bolts and torque them to 113 foot lb. Then, re-install the mounting bracket for the brake hose and anti-lock brake sensor, torque them to 21 foot lb. The stabilizer link nut is next and needs to be torqued to 55 foot lb. Repeat these procedures for the other side. Next, disconnect brackets and sensors from the strut and stabilzer bar link nut. Locate the arm supporting the lower end of the strut and support it with a jack stand. Loosen and remove the lower strut bolts and remove the upper strut mounting nuts. Repeat for the other side. Congrats! You have successfully replaced the shocks and struts on your Toyota Corolla.